CrimethInc. 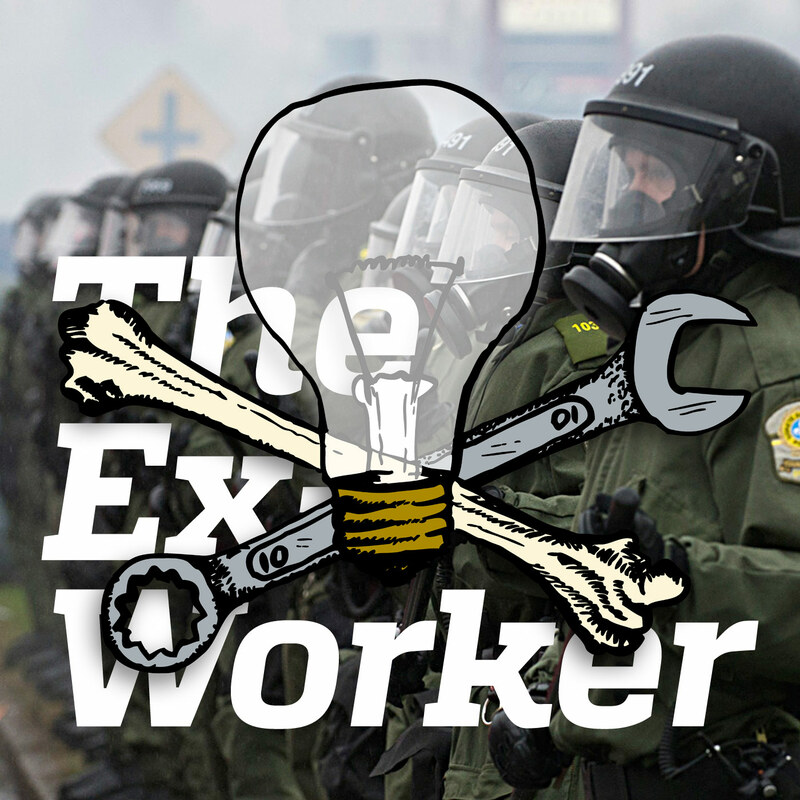 : Podcasts : #5: Still Not Lovin' the Police : Police, Copwatch, Gezi Park interview, review of "To the Indomitable Hearts"
In this episode, the Ex-Worker takes a crack at the police; we speak with Kristian Williams, the author of Our Enemies in Blue, and members of East Atlanta Copwatch. Join us for news from around the world and a review of To the Indomitable Hearts: The Prison Letters of Luciano 'Tortuga' Pitronello. Also, comrades from Turkey and from Atlanta give us the digs on their respective anti-police riots! The documentary “Inside Istanbul’s Taksim Square Protesters Remain Despite Police Attacks” with the complete Carşi interview heard on this episode is available online for free at globaluprisings.org. Global Uprisings is an independent news site and video series dedicated to showing responses to the economic crisis from around the world; visit their website for videos about the season of rebellion in Egypt, self-organization in Greece, strikes in the UK and Spain, and much more. “The Abyss Does Not Stop Us” and “When the Fire of Anarchy Nourishes Our Hearts,”, excerpts from “To the Indomitable Hearts: The Prison Letters of Luciano ‘Tortuga’ Pitronello”. Kristian Williams’ Top 5 Anti-Police Moments of the Last 10 Years: (1) How Oakland’s anti-police organizing after the shooting of Oscar Grant was broadly accessible but also militant; (2) How Rose City activists’ challenge of the city’s police union, in response to the shooting of Aaron Campbell, has largely, permanently discredited the police; (3) NYC neighborhoods’ opposition to Stop-And-Frisk [more info below]; (4) RNC 8 defense built political alliances between anarchists, radicals and liberals and exposed the foul conduct of police during anti-RNC mass demonstrations; and (5) Individuals practicing disengagement from cops pullin’ that community policing—Good job, everyone!